The C175 finally got the winter shoes on! 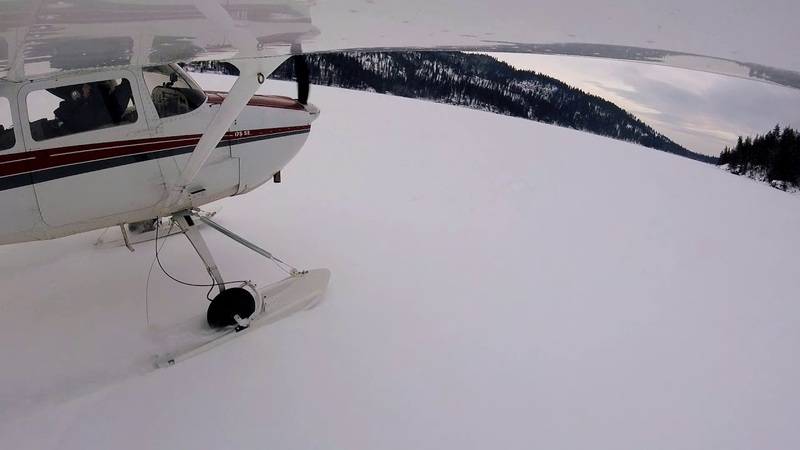 We'll have the airplane on these skis for at least a couple of weeks, and with the recent snowfall and cold temperatures the lakes and fields around the area will be PRIME for exploring. Book now while it's snow season, because Spring is right around the corner! Student pilots are welcome to fly the airplane with a CFI - you'll learn a lot about low-level operations, off-airport flying, and have a blast doing it. Solo operations will be considered on a case-by-case basis. Get on the list now while the snow is good. Yes. I want a ski plane adventure. Contact me with the details.